The GTU860 is a compact and versatile measuring device for various PD measurements. Due to its very sensitive PD detection in the UHF range and high interference suppression in the low frequency range, measurements with various test voltage forms are possible. 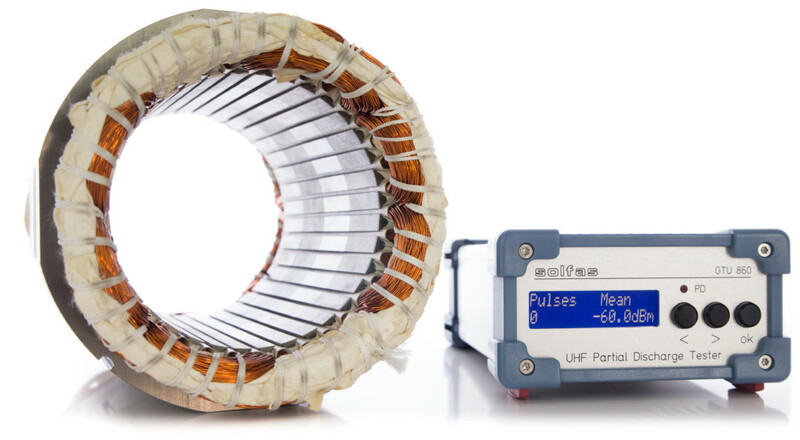 PD measurements with the GTU860 and pulse shaped test voltages offer completely new possibilities for electrical motor testing. Now there is the ability to test the isolation between phases and single turns. This enables new non-destructive tests for more reliable products. This instrument is designed for measuring PD in motor stator windings, wind turbine generator rotor windings, filter inductors, transformers and inverter drive output modules that can have short risetime voltage impulses from inverters. Partial discharges are detected with an HF current transformer. The advantage is the isolation to the high voltage. 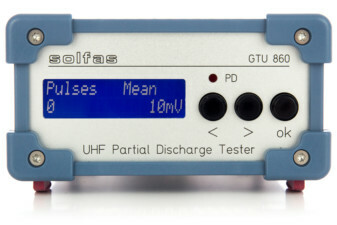 The measurement is performed with a method developed by Solfas that works in the UHF range with high sensitivity. The attenuation against interference in the frequency range below 100 MHz is very high, which allows measurements with pulsed voltages such as converter output voltages. PD MEASUREMENTS AT STATORS WITH HIGHEST SENSITIVITY. The GTU860 displays the PD number and the magnitude. Incoming partial discharges are indicated with a LED. With its simple 3-button operation, the device is stand-alone and no PC is required. The GTU 860 is equipped with an USB interface which is used for communication and power supply. 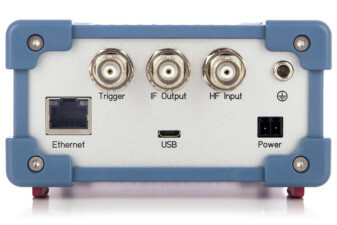 The Ethernet interface and the additional external power supply allow a simple system integration. 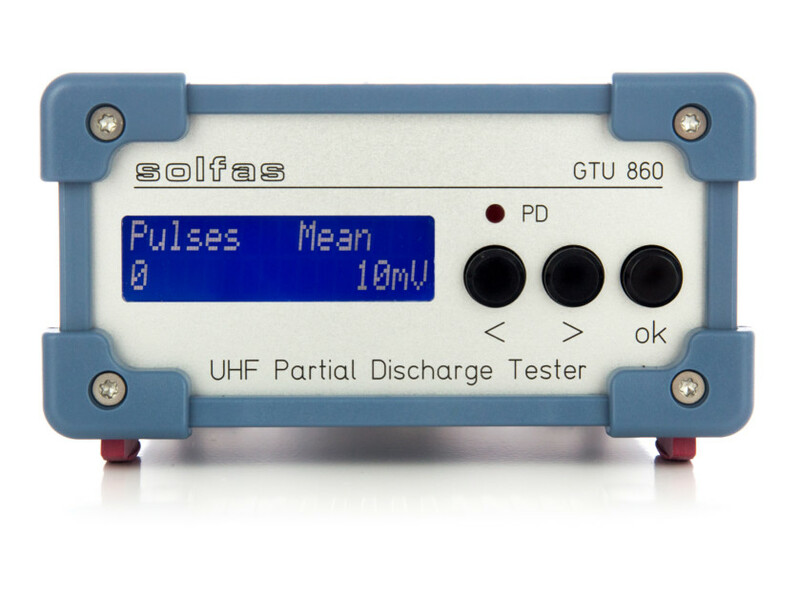 The GTU software is the ideal add-on for the PD tester GTU860. It allows complete remote operation and configuration of the instrument. 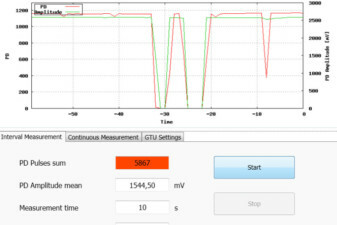 The continuous measurement mode for long term tests enables to record time-based PD pulses and amplitude. The measured data are shown as a diagramm and can be exported to CSV.